The premier tells German business leaders that stalled talks may resume by the end of 2016. Malaysia and the European Union may resume stalled free trade talks by the end of 2016, the Southeast Asian state’s premier said Wednesday in Germany according to the New Straits Times. Malaysia had started talks on a trade deal with the EU back in 2010, but negotiations were subsequently put on hold. On Tuesday, Prime Minister Najib Razak told German business leaders at a dialogue session during the second day of his three-day official visit to the country that Malaysia and the European Commission recently had preliminary discussions about restarting the trade talks. The EU is Malaysia’s largest trading partner and second largest source of foreign direct investment. Among the EU nations, Germany is the top investor in Malaysia. Najib’s comment comes just months after British citizens voted in a referendum to leave the European Union, triggering alarm across capitals about what the wider implications might be for Britain, Europe and the world. Following the so-called “Brexit,” Malaysian officials had already indicated that talks on the Malaysia-EU FTA would still go ahead as scheduled later this year, though they were not specific about timing. Rebecca Sta Maria, then the secretary general of the Ministry of International Trade and Industry, had emphasized in late June that since Malaysia negotiates with the commission and not individual member states, talks would continue irrespective of Britain’s membership in the grouping. As I noted in an earlier piece, after Brexit, Malaysia’s trade minister Mustapa Mohamed had also signaled continuity in the former British colony’s ties to Europe, even going as far as to say that though Britain was no longer a part of the currently negotiated Malaysia-EU free trade agreement, Malaysia could explore having a separate bilateral FTA with Britain. (See: “Malaysia Responds to Brexit”). 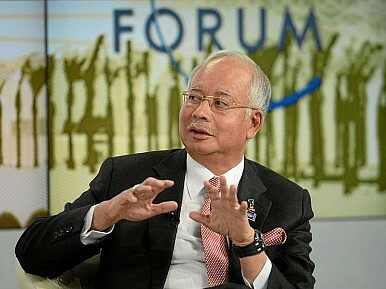 “The decades of close cooperation between Malaysia and the UK transcend beyond economic partnership,” he said. “They form a strong foundation for our future growth and Brexit will not affect our close ties. We will continue to build upon this momentum and forge ahead,” he had said.